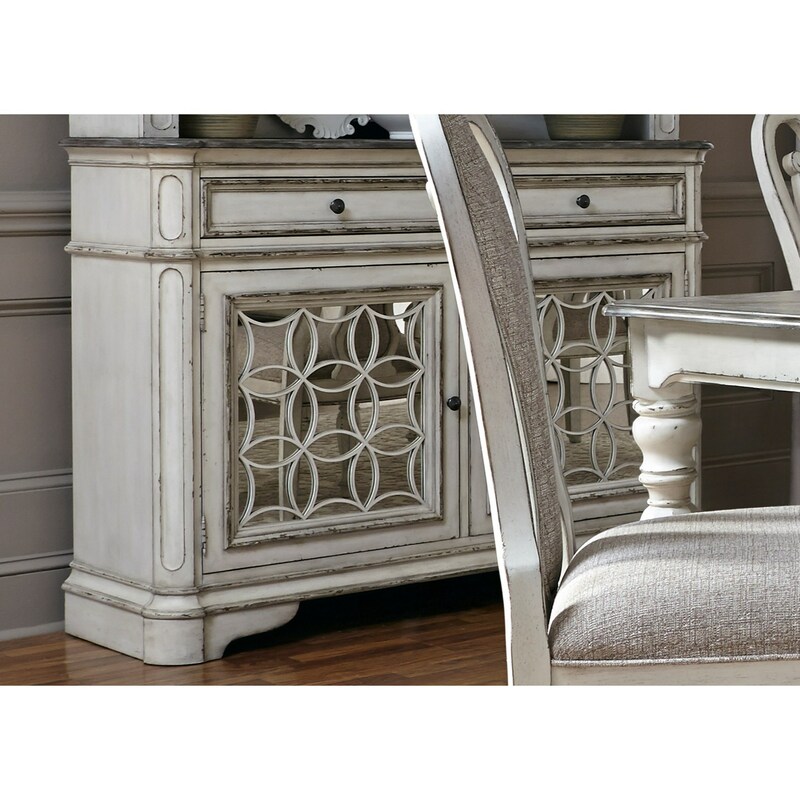 This accommodating buffet is perfect for your vintage dining space. Featuring two top felt-lined drawers, the buffet's drawers include dovetail construction and fully-finished interiors. Completed with front mirrored doors and antique pewter knob hardware, this buffet will meet your storage needs. The Magnolia Manor Dining Dining Buffet with Felt-Lined Drawers by Liberty Furniture at Miskelly Furniture in the Jackson, Pearl, Madison, Ridgeland, Flowood Mississippi area. Product availability may vary. Contact us for the most current availability on this product. Storage Two felt-lined top drawers.